Music is everywhere in people’s daily life. People will save tons of songs in their smartphones, tablets and MP3 players for an enjoyment on the go. Even at work, people may want to listen to some music to separate them from the noise outside. People will always have several potential favorite albums in each of their devices, and iPhone users may wonder how to transfer songs from iPhone to iPad so that they don’t have to download all the songs all over again after purchasing a new iPad. So, how can they transfer music from iPhone to iPad easily? In fact, they have 3 ways to finish the task. 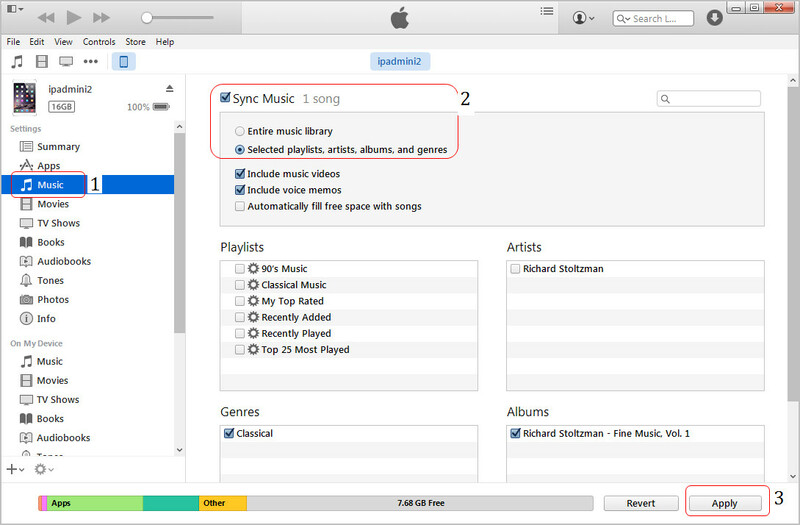 The following guidance will show you 3 ways to transfer music from iPhone to iPad. iTunes is always the primary choice when it comes to transferring music from iPhone to iPad. iPhone users can use iTunes to transfer the purchased albums back to iTunes Music Library, and then sync them to iPad. Please note that if you have hundreds of thousands of songs in iTunes Music Library, you’d better create a separate playlist for the songs you want to transfer. Then you can choose the playlist when you sync music to iPad with iTunes. 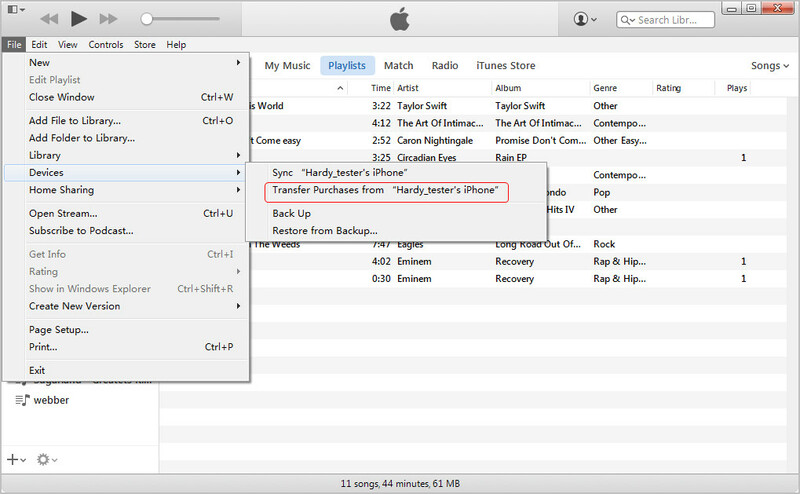 The following guidance will show you how to transfer songs from iPhone to iPad with iTunes. 1. Transfer Purchased songs from iPhone to iTunes Music Library. 3. Click the iPad icon and choose Music. 4. Check Sync Music, and choose the iPhone music playlist. 5. Click Sync at the right bottom. Of course, using iTunes is easy and popular, but iTunes has an annoying syncing function, and it will erase all available files in iPad during the syncing process. If people don’t want to use iTunes, they can use the iPhone transfer software to transfer music from iPhone to iPad. 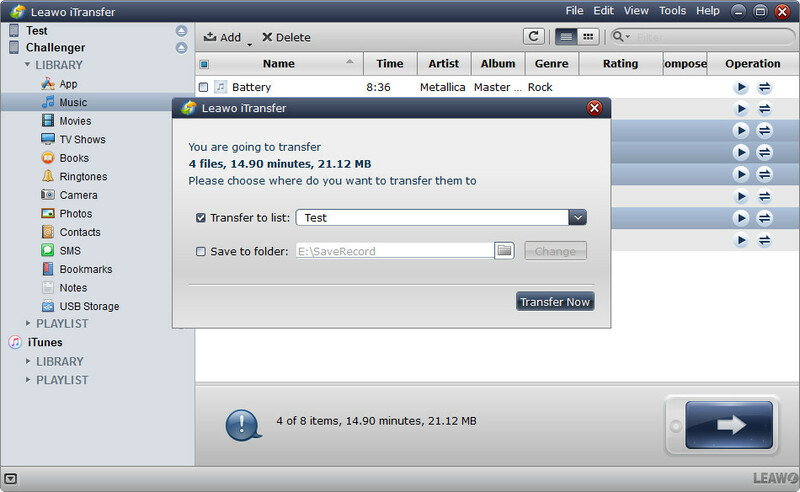 Leawo iTransfer is a helpful iPhone transfer program, and it enables users to transfer various kinds of files without using iTunes. The following guidance will show you how to transfer songs from iPhone to iPad. 1. 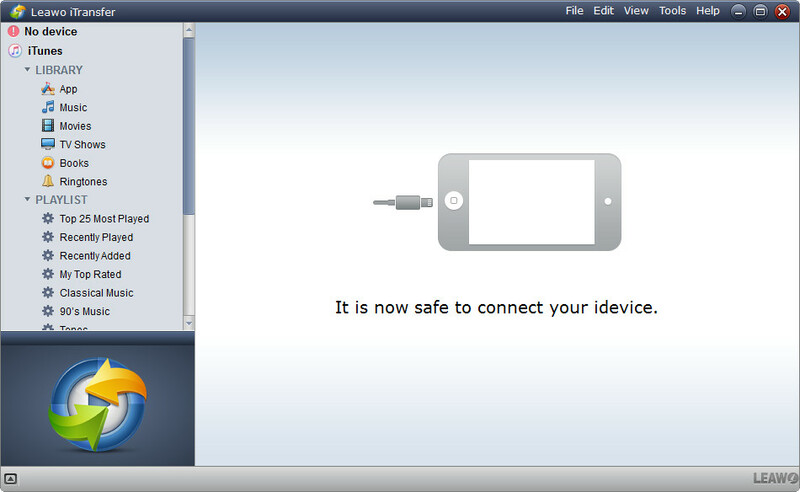 Run Leawo iTransfer, connect iPhone and iPad to computer with USB cables. 2. Click the name of iPhone and choose Music in the left sidebar. The songs will display in the right part. 3. 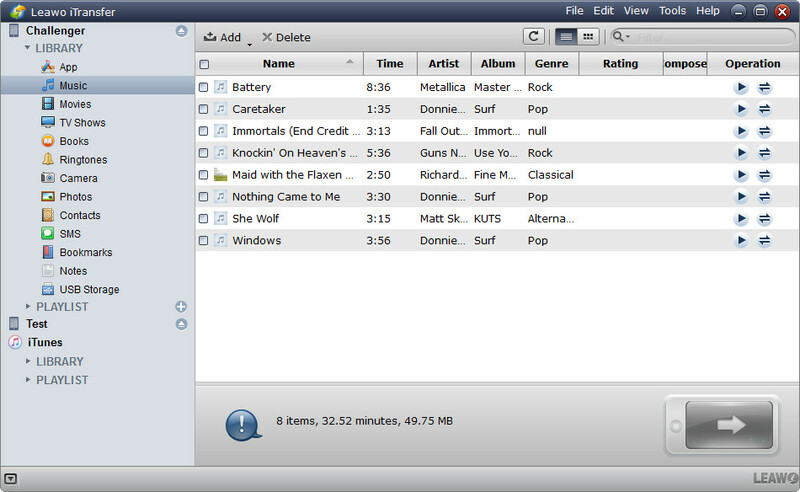 Check the square beside Name and select all songs. Or hold Ctrl/Shift key to select certain songs, and right-click the songs then choose Transfer to > iPad. 4. Check Transfer to List, and choose iPad as a target in the pop-up dialog. Then click Transfer Now to start transferring music from iPhone to iPad. Leawo iTransfer is a multifunctional iPhone transfer program, and it also helps to transfer other kinds of files, for example, you can transfer ringtones to iPhone 6s with Leawo iTransfer. There are plenty of cloud service apps in the App Store, and some of them support to sync media files. With a cloud service app, people can transfer music from iPhone to iPad. Dropbox is regarded as one of the most popular cloud apps among iPhone and iPad users, and it provides 2GB for free use, so iPhone users can sync the songs from iPhone to the cloud service, and enjoy them on iPad. The following guidance will show you how to do that. 1. 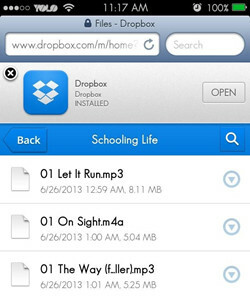 Download and install Dropbox on iPhone. Register an account and log in. 2. 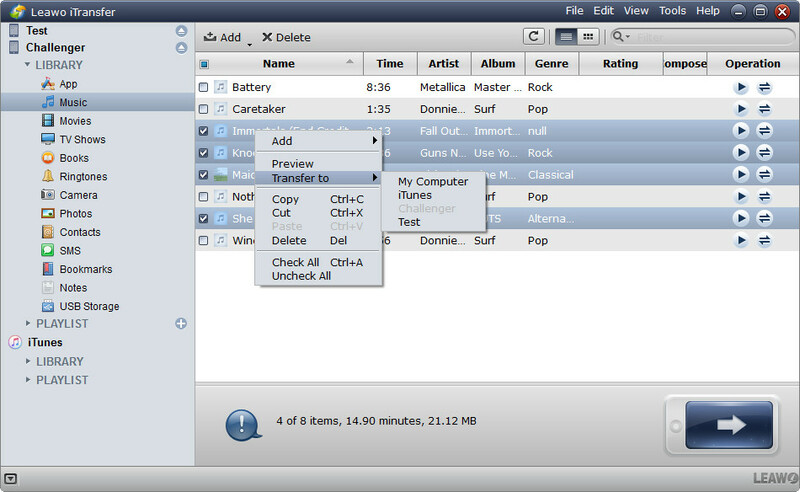 Click Add Files, and select the songs you want to transfer. Then click Upload. 3. Install Dropbox on iPad as well, and log in with the same account. Then wait until the songs show up in the Dropbox folder. 4. You can listen to the songs with the Open in function in Dropbox to listen to the songs, or download the songs to your iPad so that you can enjoy them anytime you need.